Visitors to British Columbia appreciate the diversity of wildlife found in the forests, coastal regions, and wilderness waterways of Canada's western most provinces. 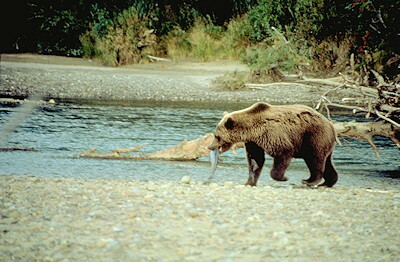 There are several types of Bears that you can see when visiting British Columbia. Black Bears inhabit heavily forested areas, dense bush and wooded mountains throughout most of British Columbia. They tend to wander a great distance, some male adults having lifetime ranges of 500 to 620 square miles. On Gribble Island and the neighboring mainland of British Columbia individuals are nearly white. The Kermode Bear, or "Spirit Bear", lives in the central coast of British Columbia, and is a unique subspecies of the North American black bear. Approximately one in every 10 bears is white or cream-coloured. Because of their ghost-like appearance, "spirit bears" hold an important place with Canada's First Nations people in the area. 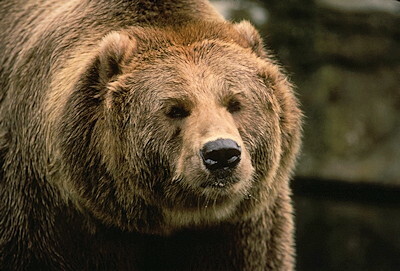 Grizzly Bears inhabit most of the province except Vancouver Island and the lower mainland. 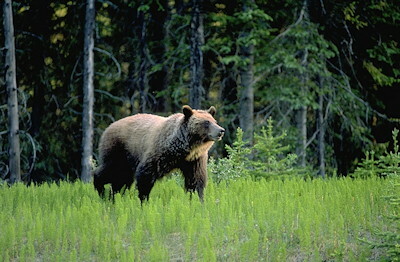 Nearly half of Canada's grizzly population - about 13 000 - live here. They prefer semi-open country usually in mountainous areas such as the Cariboo and Chilcotin, the West Coast including the Haida Gwaii (Queen Charlottes) Northern BC, and the Great Bear Rainforest. and then North to the Alaskan border. The Great Bear Rainforest is more diverse than most forests and ecosystems in the world. On your Bear Watching experience in the BC's wilderness, please remember, these are wild animals and you should observe all appropriate safety precautions. It's always a good idea to hire the services of a professional guide or participate in an organized, professionally licensed wilderness tour or wildlife expedition when considering your Bear Watching experience in British Columbia.